Belize NMS: A weak cold front is over the area. 24-hour forecast: Variably cloudy and cool with a few showers or periods of light rain mainly over the sea and southern coastal areas. Today: Winds: N/NW 10-20 kt. ; seas: Choppy-moderate. ; waves: 3-5 ft.;a few periods of light rain/isolated showers, mainly south. Tomorrow: Winds: N/NE 5-15 kt. ; seas: Light chop - choppy. ; waves:2-4 ft.; a few periods of light rain/light showers, mainly south. Marine Outlook: Winds: N/NE 5-15 kt. ; seas: Light chop - choppy. ; waves:2-4 ft.; a few periods of light rain/light showers, mainly south. General Outlook: (Thur & Thur night) Variably cloudy and cool with a few light showers or periods of light rain mainly over southern coastal areas. 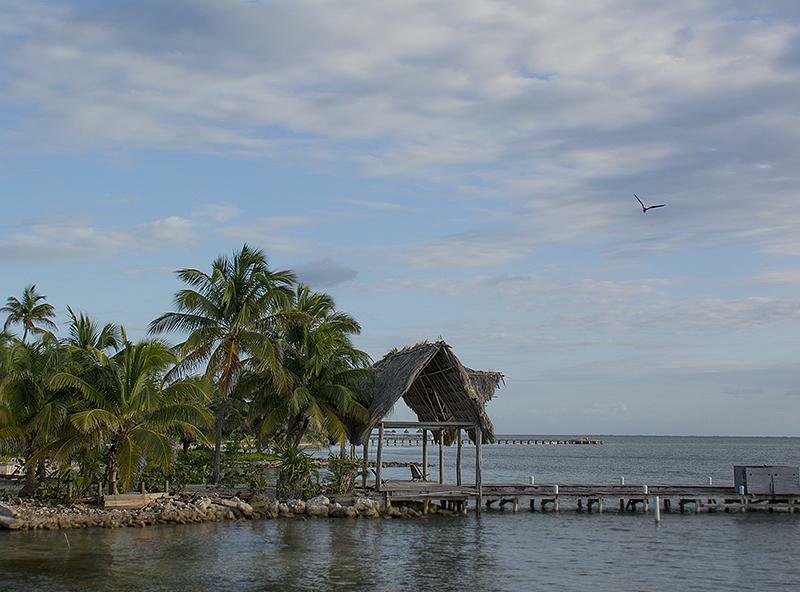 On Ambergris Caye this morning we have blue sky, calm sea and a breeze from the North at 12 mph. The main air effecting Belize is still streaming down from the north. ... .There is some high level air moving from north Mexico and a different high level Pacific air with a lot of cloud still streaming from the SW, which is having some effect on our weather, particularly just off our coast, down south. I expect the present cloud to hang around for a while . . ..Thicker over central Belize, looks close to rain in places, yet patches of blue sky. . .. Thinner cloud in the north of Belize, and large patches of very little cloud in parts of Toledo.. . ..So more sun expected later. Conditions changing. 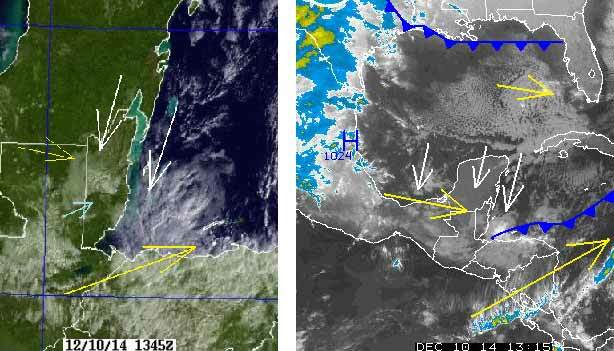 . . . . .Clouds, now coming in from the NW from central Mexico, and at the same time, the winds still blowing down from the NNE along the Belize coast. . ..So changes coming, probably more cloud later today. . . .. .At the same time, there is increasing conflict with the SW Pacific air resulting in increased cloud effecting southern Belize, so there could be some rain down in Toledo.